Welcome to my personal website. 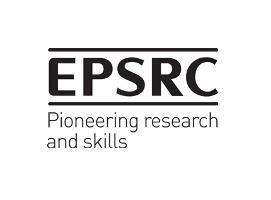 I am a postgraduate student in the EPSRC funded 4-year Doctoral Training Centre of the Centre for Mathematics and Physics in the Life Sciences and Experimental Biology (CoMPLEX) at UCL University. Currently I am in my first year (MRes). I have studied physics in the National and Kapodistrian University of Athens where I have also taken a MSc in Telecommunications. I have worked as a software engineer for some years and as a Secondary Education teacher in Mykonos. After earning a state scholarship from Greece (IKY) I have the opportunity to take a break from my teaching and enjoy high quality studies in an amazing academic environment. The quest of understanding our own nature inevitably raises questions regarding biological systems where issues that formerly lay outside the scope of science are now scientifically approached and synergies between different research disciplines are greatly promising. My main interest lies on neuroscience and it originates from questions such as: What are the mechanisms for encoding information in the brain? How do humans represent internally conscious perceptions of space, geometrical objects, colours, sounds, symbolic concepts? Can we get the emergent properties of the neurons' interactions analytically or by simulation and effectively mimic higher level mental functions? I hope that during my studies at CoMPLEX I will have the opportunity to conduct some original research related to the deciphering of the brain functioning.